Fitbit has upgraded its Windows app for the latest Windows 10 operating system. Similar to Microsoft Band's HealthVault, but on steroids, the Fitbit app showcases steps taken, calories burned, sleep charts and all sorts of other fun metrics tied to your tracker. Interestingly, it seems like the new features available on the platform surpasses Microsoft's own fitness tracking app and health dashboard for the Band. In fact, Microsoft hasn't said a peep about the Microsoft wearable integrating with Windows 10 even though the OS was released in late July. 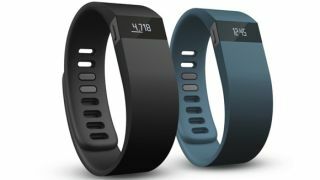 There are several features that Fitbit has implemented on the new Windows OS that make it a solid app. The live tiles have been redesigned to show more information and new types of notifications to let you access data quicker. To help users continuously log data , 'Quick actions' have been added to track food, water intake and exercise, as well as setting alarms more efficiently with the simple click of a button. You'll even be able to use Cortana with voice commands like "Fitbit, I ate chicken for dinner" or "Fitbit, I went for a three-mile run" to log information. There's a dedicated notification center that consolidates all the important notifications and messages in one tab so you can review progress faster, or stay motivated with cheers, taunts and encouragements from friends and family. All supported W10 devices can also be synced up to view data in real-time. The free app works with all Fitbit devices - like the Surge, Charge, Charge HR to name a few - and is available for download now from the Windows Store to desktops and tablets. It will be ready later this year when Windows 10 launches for mobile and Xbox One.